But what a reversal of fortunes since 2014. Ireland is now leading the European Union in economic growth at 7.3 per cent in 2017, having created 50,000 jobs. Now the formerly beleaguered country, and in particular its ­dynamic capital, is attracting ­thousands back. Ten of the top technology companies have bases there (including Google, Facebook, LinkedIn, Microsoft and Twitter, with its European headquarters) and investment is pouring into the country. Of course the knock-on effect of this is a lively pickup in the Dublin property market. Now that the over-supply of properties left over from the 1995-2008 (Celtic Tiger) boom has been absorbed, 71 construction cranes adorn the skyline, and Dublin residential property prices increased by 11.6 per cent in 2017, according to the Central Statistics Office. 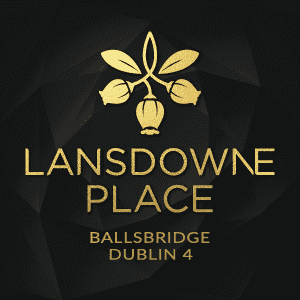 Currently setting a new benchmark among the city’s myriad residential schemes is Lansdowne Place, the city’s most expensive apartment development. It sits on the six-acre site of the former Trinity College Botanical Gardens in Ballsbridge, Dublin’s most prestigious area. The developer, Chartered Land, and architects O’Mahoney Pike have created a contemporary design of seven “pavilion-style” blocks sympathetic to the local vernacular of handsome red-brick Georgian townhouses, with its loveliest feature perhaps the mature holm oaks and poplars that soften the buildings’ sharp glass façades. The one to three-bedroom apartments and penthouses start from €800,000 (£705,000), and are available with super high-spec finishings. The Georgian era is also reflected in the high ceilings and the décor, with the use of mohair and velvets. Unusual Scandinavian-inspired “sun rooms” – outside spaces that can be completely closed off with bi-fold doors – are a clever feature perfect for the Irish climate. There are two floors of hotel-style amenities, with a residents’ club, cinema, private dining room and spa. Service charges are around €5,000 per year for a one-bedroom apartment. “It’s offering a style of living found in London that’s a first for Dublin,” says Stephanie Patterson of Savills, the joint agent (with Sherry Fitzgerald). “At €1,000 to €1,800 per sq ft it is also much better value than London.” There’s even a branch of the The Ivy restaurant arriving in Dublin this summer. So who is buying there? Many of the 60 purchasers include downsizers and people trading up within Ballsbridge, including Google execs putting down roots. “There are emotional investors who are buying for themselves, but also as an asset that has scope for growth,” adds Patterson. Unlike in the UK, Ireland’s property market is more friendly towards investors, and there is no extra tax on properties bought as second homes. One of the four-bedroom penthouses, with prices up to €7.5 million, has been bought by Stephen Vernon, an English commercial real estate developer and investor now living in Dublin. “I have a lovely Georgian townhouse but felt like going modern and there’s never been anything like this in Dublin before. I like the sound of the facilities, plus the 24-hour concierge will be very useful,” says the 68-year-old, who also has a home in west Cork and a ski chalet in the French Alps. “Dublin has made a remarkable recovery after having been through the mill and taken its pain, but now we are building as fast as we can; the take-up rate of office space is higher than in any other city. It’s due to a mixture of natural growth and Brexit,” he adds. Its location, 10 minutes south of the centre, and 20 minutes from the airport (that now serves 180 destinations), has both history and cachet. Named after the street that is synonymous with world-class rugby – Lansdowne Road – it is close to the famous stadium (rebuilt as the Aviva), but also has wide streets of embassies and Facebook’s new campus of 6,000 employees that will transform the area. Other popular areas are the next-door Dublin 6 (Sandymount) and 2 (south city centre), as well as the regenerated Silicon Docks area (Dublin 1/2). This is home to big tech companies such as Airbnb, as well as JP Morgan’s new office for 1,000 workers at Capital Dock. Employees of these companies may look at waterfront apartments in nearby schemes such as Longboat Quay, where a two-bedroom property with views of the Liffey is around €475,000 (daft.ie). New-build apartments in this area, at around €750 per sq ft, are popular with investors. According to Savills, net yields are around four to five per cent. It’s a short walk from Grafton Street, the elegant Georgian shopping area buzzing with Dublin’s wealthiest. Some things have not changed since James Joyce’s day.